This article first appeared as a guest column in The Texas Tribune. As a physician and as president of the Texas Medical Association, I hear daily complaints from Texas patients and doctors about our state’s Medicaid program, which cares for low-income citizens and Texans with disabilities. Before we move forward on that expansion, we need to make sure that Texas Medicaid patients have access to physicians. Because Medicaid patient-care rates are often below the actual cost of care, Texas physicians are forced to severely limit the number of Medicaid patients they can see. This forces many Texas Medicaid patients to forgo normal medical care in a doctor’s office and to overuse expensive emergency department care. To improve Medicaid patient access and dramatically reduce the high cost of emergency room care, Medicaid payment rates should increase to the same levels as Medicare rates before any expansion of Medicaid in Texas. Texas physicians are also discouraged from accepting new Medicaid patients because of the program’s 1,802-page rulebook and exasperating, irreconcilable red tape. We need to return to treating the patient, not the administering bureaucrat. Additionally, Texas physicians are increasingly frustrated by the lack of transparency or fair review process by so-called Medicaid fraud investigators. Make no mistake — we should have zero tolerance for any form of intentional and malicious Medicaid fraud. However, Medicaid auditors need to focus on financial fraud instead of second guessing real-life medical treatment decisions. Texas must enact these critical reforms before developing a state-specific Medicaid expansion plan for Texas. We must look beyond the federal government’s expansion solution to design one especially for Texas and for Texans. The physicians of the Texas Medical Association are confident that state leaders and lawmakers — with input from patients, health care providers, employers, taxpayers, and others — can design a comprehensive solution that is healthy for patients and taxpayers. Allows the state to revise or eliminate the program if conditions change. Implementing these reforms will improve Texas Medicaid and allow Texas patients to receive the care that they need. 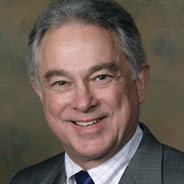 Dr. Speer is a Houston neonatologist and president of the Texas Medical Association. I was surprised when I moved to Texas from the east coast. When I lived there, it seemed like I was choosing the "least bad" rather than a good doctor. Then, while choosing a doctor in Dallas, I had loads of options! I had never heard it over in NC, but Texas actually has great health care. I wish other states knew more about the well-trained doctors in the area!